We first discovered our new Customer of the Month on our Facebook via the magical notification: "Stephanie Lindsay added a photo of you." Hi Stephanie! What do you do? 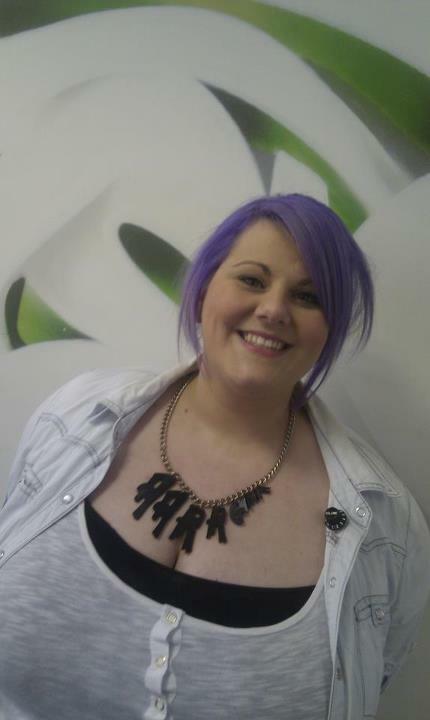 I work in Glasgow at a company called Dog Digital where I am the Digital Marketing Manager. Formally I plan and implement digital and social marketing campaigns for clients in the world of sport, entertainments and finance... Really, I mess around on the Internet! 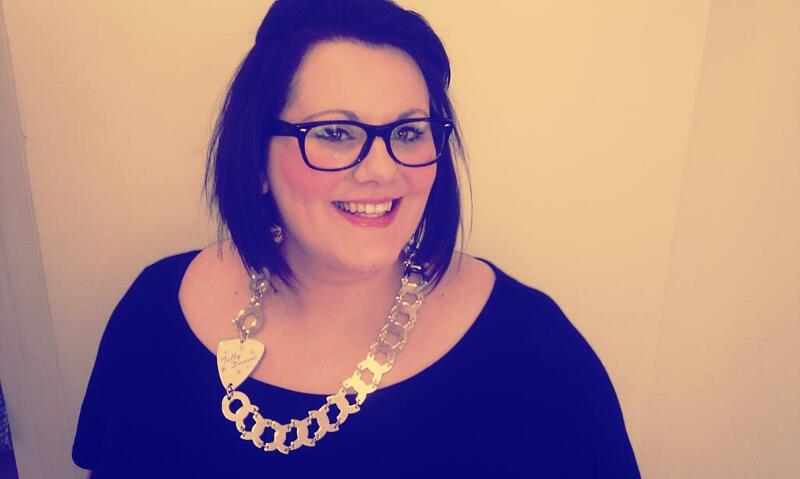 When and how did you discover Tatty Devine? I think I was 18 or 19 when I got my first few pieces so a good few years ago now. I remember the first necklace I got was a red beaded necklace with glass-like shards and I absolutely loved it. It has since been lost which annoys me to this day, but I do still have the matching earrings! Tatty Devine was, at first, just available in one or two boutiques in Glasgow so I would make regular visits but I was over the moon when the website launched meaning I could buy the newer items as they were released. 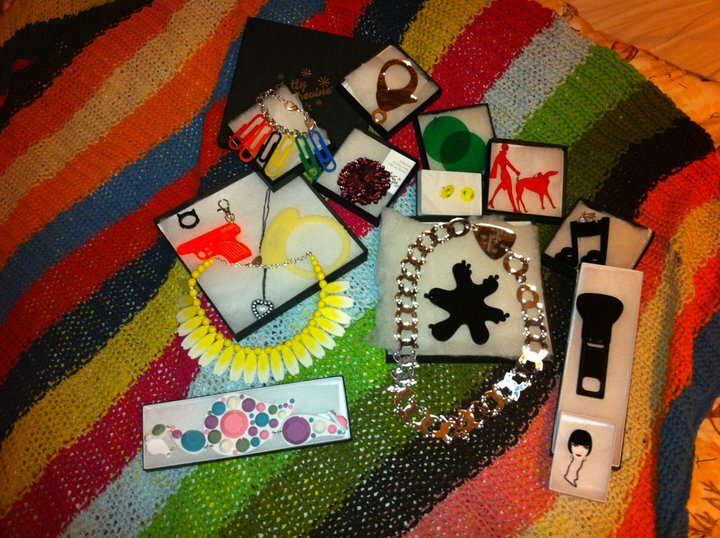 You have an amazing collection of Tatty Devine! What's your favourite piece? Arrghh, that's a hard question. There isn't a day that I don't wear something Tatty Devine and my favourites change all the time. My large gold Dinosaur Necklace I had wanted for ages so that's a favourite that just gets brought out for special occasions. 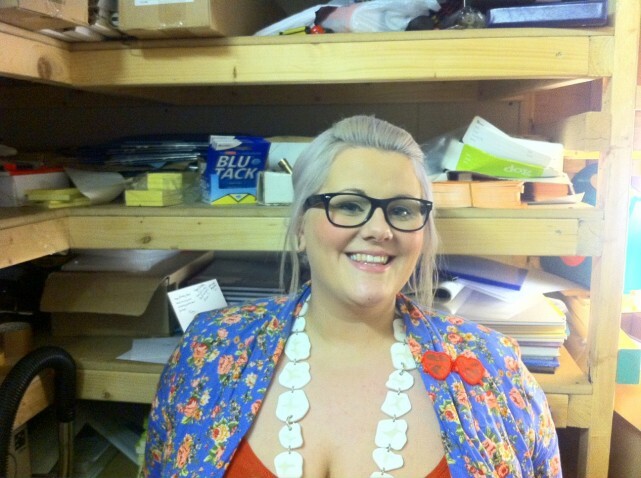 I also love my red Telephone Necklace as it was the first item I bought from the store in Covent Garden. My Teeth Necklace, Ping Pong Earrings, the Wills and Kate inspired Cameo Necklace and my Tiger Necklace get a lot of attention too! I am OTT with my Tatty Devine storage: everything goes in its box every night, it actually really annoys me if I know that I have left any out of their box - I am like Monica from Friends! Perfect! It's great when our customers are just as fanatical about storing their Tatty Devine collections as we are. 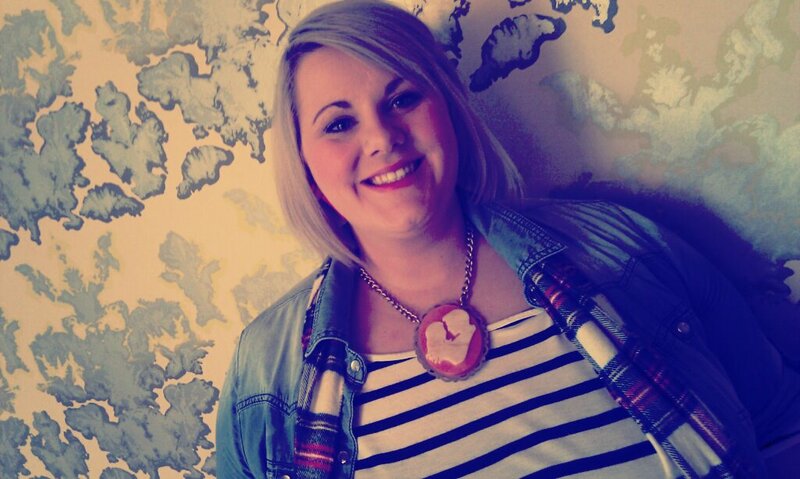 What inspired you to wear a piece of Tatty Devine a day until you turned 30? 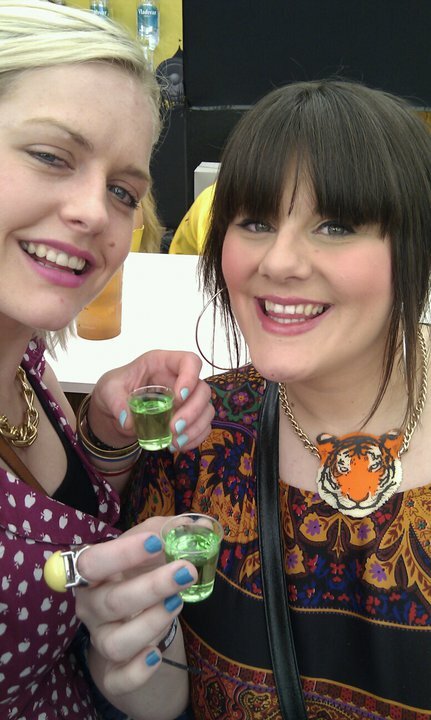 I had tagged myself in Facebook photographs before, however to really stand out I wanted to go one step further. I was completely stressed at turning 30 too so it took my mind off my impending old age!!!! My workmates were tasked as official photographers and I had to ensure I never wore the same thing twice! We love that you comandeered your colleagues to be your personal paparazzi. What did they think about your jewellery challenge? My friends Jason and Gillian were on hand every day for photographs but my boss was particularly bemused. He thought I was just posting photographs of myself every day for complete vanity! Tatty Devine is always a real talking point at work though and I've got a reputation amongst our clients as having a different theme each meeting! 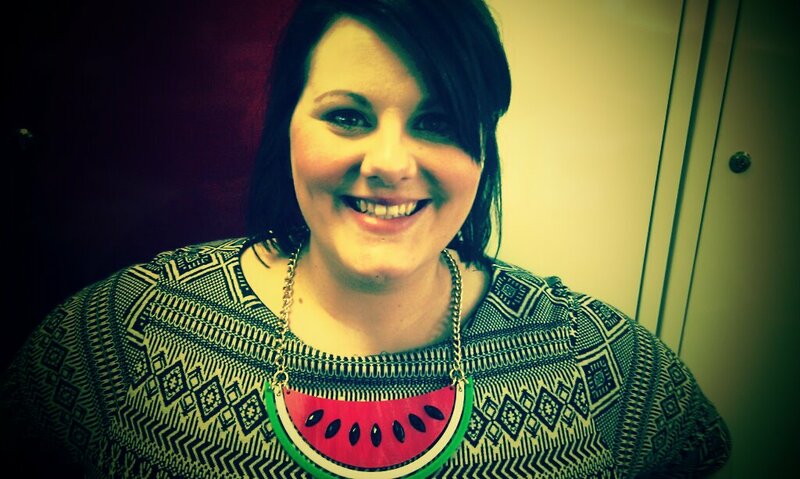 At a recent pitch, the very last question after 3 exhausting hours detailing our marketing strategy was: "Where did you get your Watermelon Necklace?" Excellent! 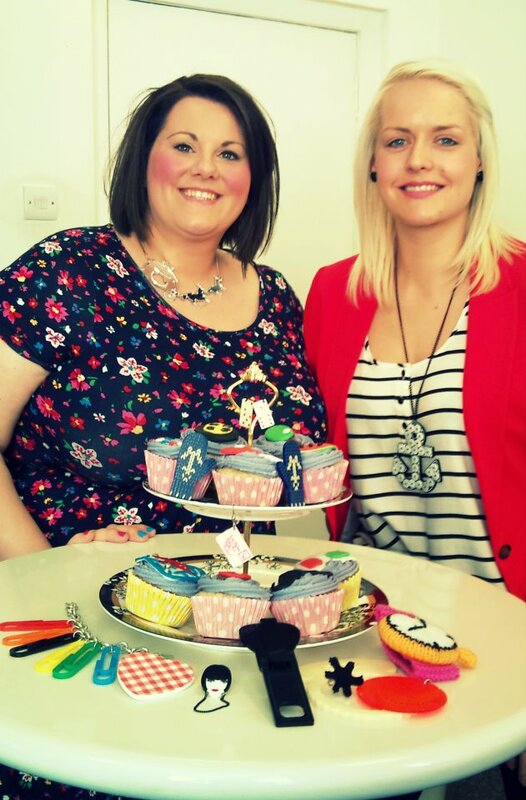 We all loved your Tatty Devine birthday cupcakes! Who made them for you? 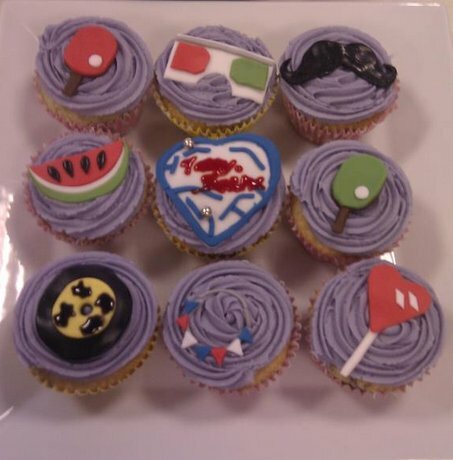 My friend Gillian is an excellent baker and has made some amazing cupcakes inspired by anything from Super Mario to Star Wars! Every year she surprises me with a birthday batch and this year's was amazing Tatty Devine ones! We have dreams of being in our 60's and running a cafe where Gillian can bake and I can just chat all day - suits our strengths! Check out her blog here. How would you describe your personal style, Stephanie? Well, I just asked Gillian and she said "all over the place" so I think that just about sums it up! I like to wear a lot of mis-matching patterns and I am particularly fond of polka dots, animal print and a healthy dose of denim! I'm lucky that working in the creative industries means I have a bit more lee-way with my clothing so I try to push the boundaries as much as possible! What’s your favourite item of clothing at the moment and why? Staple wardrobe items include my Spice Girls t-shirt (it's ironic now, right?) and any one of my numerous pairs of ballet pumps. I can't walk in heels, in fact I can barely walk in flats, so I stick to pumps for day and night. We know the feeling! Who do you look to for fashion inspiration? I absolutely love Zooey Deschanel's mixture of sugary sweet clothing and I am a huge fan of her band too. Other than that I love Tilly & the Wall's crazy fashion choices as well as Jenny Lewis's Americana look. But if I had to be truthful.. when I grow up I hope to be Su Pollard!! Su is definitely fashion fearless! Speaking of which, we couldn't help but notice your ever-changing hair colour. What's the story behind it? Unfortunately I am now back to my roots but that doesn't mean I won't try again! Are there any other brands or styles you particularly like? Nope! 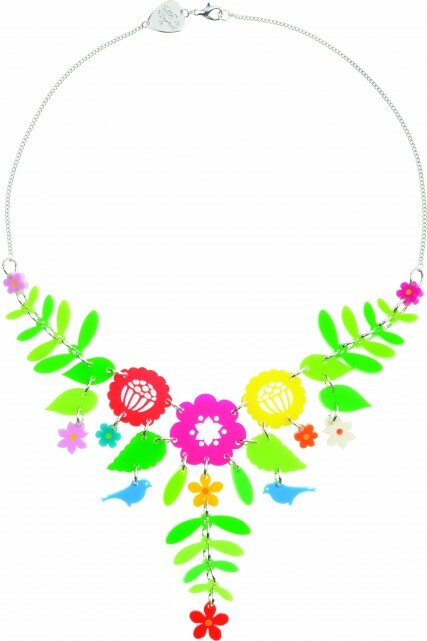 Tatty Devine only! Other than that I am a complete High Street girl! What else are you into apart from fashion? 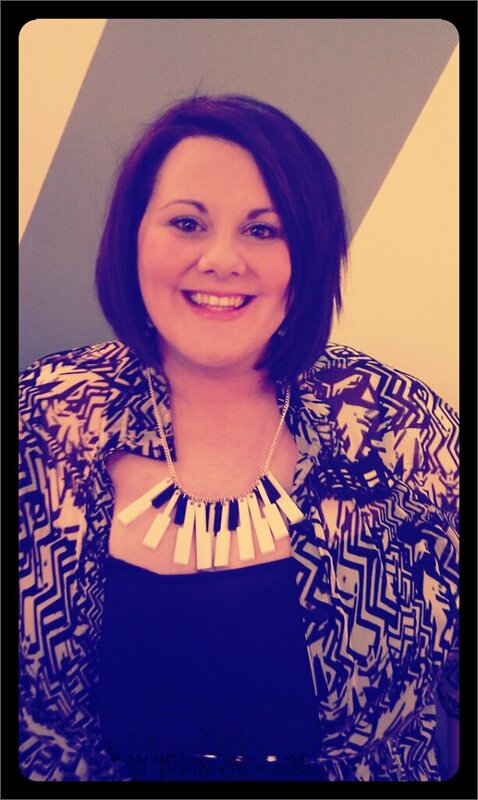 Music is my passion and I, much like my Tatty Devine collection, am very organised with it. I have alphabetised CDs, playlists for every occasion and an opinion on everything! Unlike some though I don't limit myself to listening to one style of music and I am loving Crystal Castles, Sia, First Aid Kit, Yo La Tengo and Those Dancing Days at the moment. In the near future I am aiming to pass my driving test and survive my holiday to America in September - in longer terms, it's the cafe with Gillian and living life like one of the Golden Girls! If we're as cool as Betty White when we get old, that's good enough for us! What do you wish Tatty Devine would make next? I am very anti-fashion rules of less is more, so I love all the big Tatty Devine necklaces and my next purchase is hopefully the large Mexican Embroidery Necklace. I also love a huge earring (due to some ill-advised ear lobe tattoos I got when I was 20!) so large studs are my favourite style of earring at the moment. If I had to think of a collection, I would love something to do with Russian dolls. Well, Stephanie, you never know what we'll come up with next! We're so impressed by the amount of effort you put into your birthday challenge. Those Dancing Days is our perfect soundtrack to a hazy summer's day and we're also big fans of Zooey Deschanel's offbeat style. As a thank you for being our Customer of the Month, we'll be sending you some jewellery - and we expect Facebook photos! If you’d like to be our Customer of the Month, here’s how to get noticed: tag Tatty Devine any time you post a photo of you wearing your jewellery on Facebook. 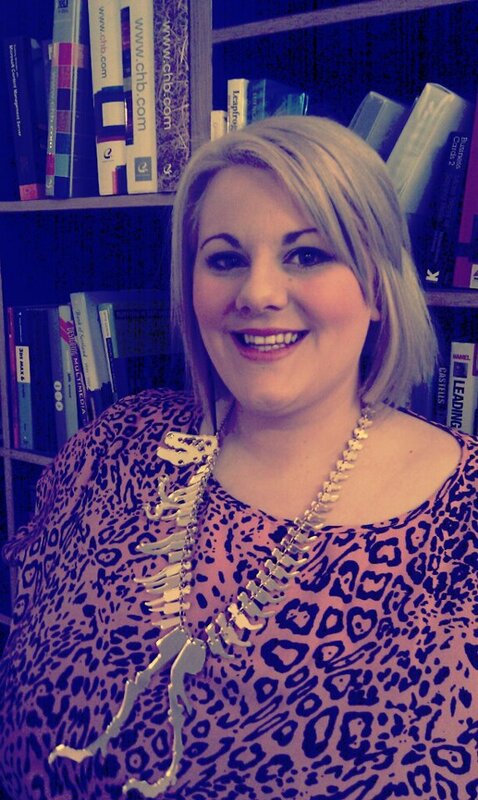 You can also tweet us on @tattydevine when you post photos of yourself wearing Tatty Devine on Twitter.